2019 is well underway and before we know it, spring will be here. Before we look that far ahead, however, I want to give a quick nod to 2018. 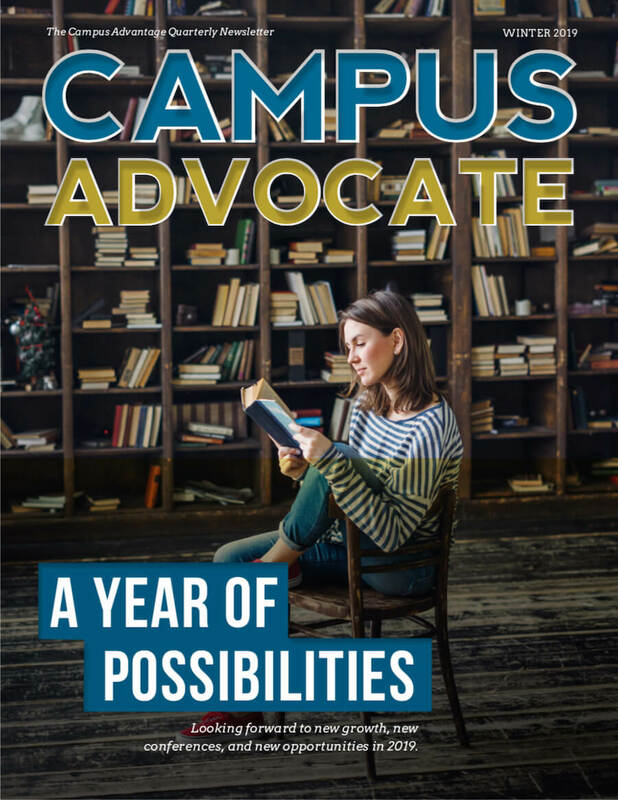 It was another year of growth for Campus Advantage, and that could not have been possible without each and every one of you and your dedication to, and partnership in, creating successful communities. From me to all of you, thank you! Speaking of communities, I want to welcome two new properties that we added to our portfolio last quarter. Liv+ Gainesville is a new development near the University of Florida, with an expected completion in Fall 2020. This is a four-story, 279,075 square foot student housing complex that will consist of 235 units and 618 beds, and it is the second joint project between Campus Advantage and Stark Enterprises. We also welcomed The Edge to the Campus Advantage family, located in Lafayette, Louisiana near the University of Louisiana at Lafayette. Making a positive impact on students’ living and learning experiences is something on which I’ve always prided this company and we look forward to continuing that culture for our Liv+ Gainesville and The Edge residents. While I’m a big believer in reflecting on the past and being grateful for all that’s gotten us to where we are, I also enjoy the sense of hope, purpose and endless possibilities that a new year brings. 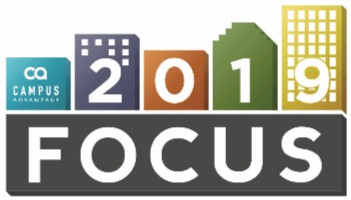 We have so much to look forward to in 2019, and that was made evident at our annual FOCUS Conference and the CAmmy awards, both of which were held in early February. I always eagerly anticipate both of these events and the opportunities they bring for our company to come together, to celebrate each other, learn, and look ahead to the future — and this year’s event, as you’ll read below, was that and more. There’s a lot more in store this year and I look forward to sharing those updates with you. My wish is that, as you continue venturing on in this new year, we share the same sense of hope, purpose and endless possibilities. I have no doubt that we are surrounded by the best people in this business and I thank each and every one of you — our team members, clients, partners, investors, and residents — for being a part of our success. Here’s to making Campus Advantage the place to be in 2019 and well into the future. Campus Advantage and Catalyst will host their second annual Cornerstone Summit, March 27-31, in conjunction with the 2019 Dell Technologies Match Play in Austin, TX. This is an invitation-only summit offering educational sessions on innovative topics within the student housing industry for existing clients and VIPs. Attendees will also attend Dell Match Play where professional golfers will go head-to-head at one of the biggest draws on the PGA Tour circuit. If you are interested in receiving an invitation, please contact [email protected]. 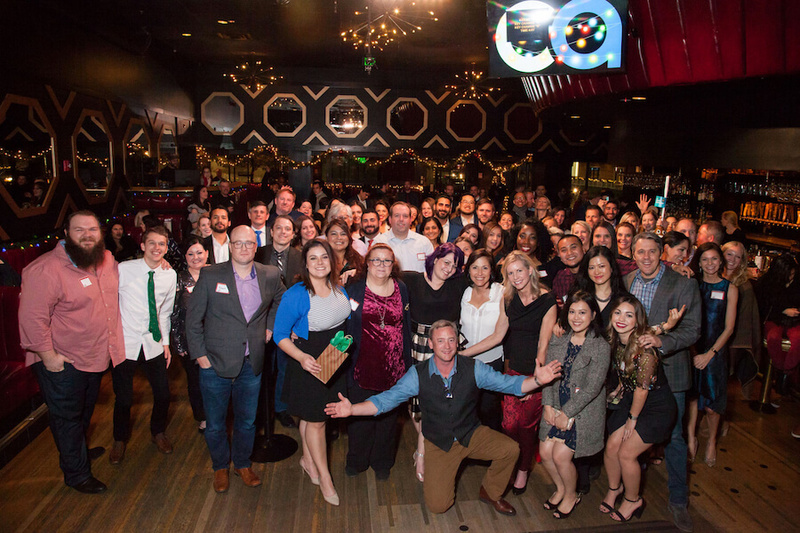 The Campus Advantage corporate office employees and their guests celebrated the holidays at The Highball in Austin, Texas. It was a fun evening of cocktails, food, and very memorable karaoke acts that included Jon Anderson performing AC/DC with Jenn Cassidy and Jamie Matusek as backup! This year marks a major milestone for Campus Advantage, as we hosted our 10th annual FOCUS (For Our Communities’ Ultimate Success) conference. The event, which took place in The Domain in Austin, Texas, welcomed 56 of our general managers and 45 corporate operations staff to a full, exciting week of firsts. 2019’s FOCUS marked the first time we added a full day dedicated to breakout sessions, so attendees could “choose their own learning adventure” with an expanded schedule that included over 40 sessions. We introduced three new exciting company initiatives/programs at the conference, and, for the first time ever, we focused social events around giving back to the community, collecting over 50lbs of toiletries for The Safe Alliance and building 11 children’s bikes for Foster Angels of Central Texas. To top things off, we even had celebrity appearances by Lil’Jon and the Leasettes, as well as a few west-coast cows! The conference was capped by our annual CAmmy Awards, a dinner and awards banquet for all corporate staff and general managers to celebrate the successes of the previous year. Held at the Austin Film Society Cinema, the exciting event opened up with a montage of several popular on-screen musicals, performed by none other than our MOJO-filled and Oscar-worthy emcees, Chief Learning Officer Dan Oltersdorf and Executive Vice President and Chief Operating Officer Jennifer Cassidy. Awards were given to both corporate and prop- erty individuals and teams in 24 categories, including the winners of our prestigious Property of the Year – Over 500 Beds Award (Hannah Lofts), Property of the Year – Under 500 Beds Award (Redtail on the River) and our Rookie Property of the Year (The Spoke). Even with all of the amazing FOCUS firsts that took place this year, the conference and award ceremony held true to our company’s traditions, which continue to make this event a favorite time of year for many. The conference’s foundational purpose is to bring the best leaders in student housing together to network and support each other, to learn from present- ers and from one another, and to develop tangible skills and action plans to bring back to our teams. Keeping our mission front and center, it is undeniable that bringing this group of people together each year helps us to “create successful communities” that picture our values of integrity, intelligence, passion and a whole lot of MOJO. In January 2019, Jennifer Cassidy assumed the role of Chief Operating Officer. 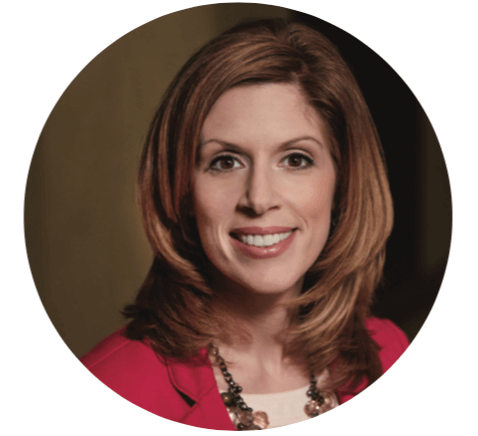 Jennifer is responsible for the overall operations of Campus Advantage, with responsibility for the company’s portfolios of both owned and third-party managed properties. Scott Duckett will be focused on expanding new, unique business opportunities across the company in his role as Executive Vice President. Scott will be driving efforts in diversifying growth into multiple real estate verticals through his relationships with strategic partners. Are you or is someone you know interested in an opportunity to invest in student housing? Campus Advantage specializes in all aspects of student housing, from operations, marketing, and consulting to development and acquisition, and has delivered excellent returns for over a decade. Contact our Acquisitions and Development Team to learn more. Check out our latest case studies to learn more about a few of Campus Advantage’s successful acquisition, development, value-add, and property management projects. From his first student housing role as an RA in college to his current position as the Director of Resident Experience at Campus Advantage, Adam Yarber knows many sides of student housing. Starting as an Operations Specialist for Campus Advantage in 2017 and working her way up to her current position as Regional Leasing Specialist, Rebekah has an impressive skill set and a can-do, problem-solving attitude. We are excited to welcome two new properties to our management portfolio, both representing new client relationships. We look forward to bringing our value-add, branding, and property management expertise, as well as our exceptional operations team and training programs to these properties. As with all investments, changes in business strategy and market conditions can alter the game plan for your student housing community. Based on our decade-long experience, we explore the factors crucial to determining the right time to sell. Those looking to delegate their property management have many choices, but we recommend limiting your search to experienced, innovative student housing managers. Find out about our core differentiators that keep us at the top of the industry. Work/life balance is an important consideration for most job seekers today — and it’s something we’ve provided and helped support for a long time at Campus Advantage. Learn more about how we incorporate the philosophy of balancing work and play into our company values.